Syfy’s Creepypasta-inspired anthology series, Channel Zero, wraps up its excellent second installment, No-End House, tonight—but fear not, horror TV fans. The very first teaser for season three, Butcher’s Block, is here, and though it’s quite brief, it still looks excellently disturbing. As we already knew, Butcher’s Block will have a new cast and a completely new setting and story to the previous seasons, season one’s Candle Cove and the current No-End House. That cast includes legendary Blade Runner star Rutger Hauer, who will play “a 1950s meatpacking magnate who grew increasingly reclusive and then disappeared after his beloved daughters were murdered,” according to Deadline. You can catch a glimpse of him in the teaser. Inspired by Kerry Hammond’s “Search and Rescue Woods” Creepypasta tale, the Butcher’s Block installment tells the story of a young woman named Alice (Olivia Luccardi, It Follows) who moves to a new city and learns about a series of disappearances that may be connected to a baffling rumor about mysterious staircases in the city’s worst neighborhoods. With help from her sister, she discovers that something is preying on the city’s residents. 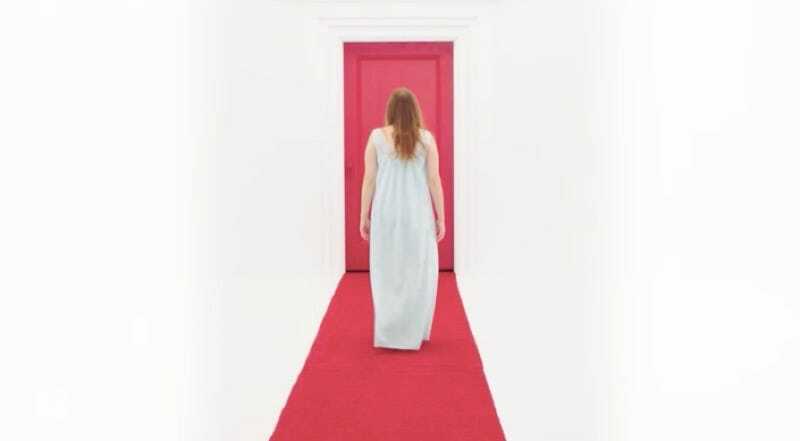 Other intriguing-sounding characters include Holland Roden (Teen Wolf) as Alice’s older sister, who has a history of mental illness; a jaded young cop played by Brandon Scott; and Krisha Fairchild—star of the memorably terrifying not-horror movie Krisha—as a former journalist who is penning a book about that same series of disappearances that the Alice character becomes obsessed with. Nick Antosca will return as showrunner, but season three (due in 2018) also has a new director: Arkasha Stevenson, whose previous credits include a handful of shorts and TV work. That’s in keeping with Channel Zero’s preference for working with emerging indie directors, who bring their own unique visual styles (and abilities to work within a tight budget) to the table—making this one of the most artistically interesting genre shows on TV right now.